Microsoft has been named the world’s most valuable B2B brand for the second year running in a report released by WPP and Kantar Millward Brown. As part of the BrandZ Top 100 Most Valuable Global Brands 2017 report, the top 20 global B2B companies were ranked according to their overall brand value. For the second year in a row, Microsoft claimed the top spot with a brand value of $143bn, an 18% YoY increase. IBM (valued at $102bn) retained its number two spot with 18% YoY increase, with Wells Fargo ($58bn) ranking third for a second consecutive year. 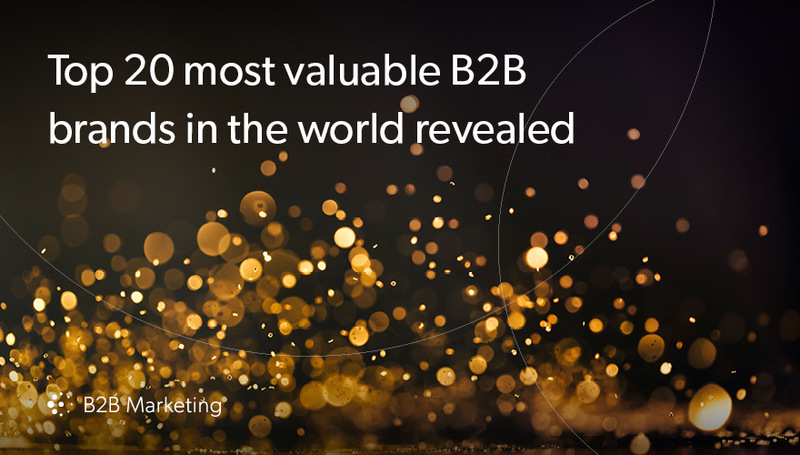 Interestingly, the world’s top 20 B2B brands have increased their combined value by 11%, with Shell boasting the most rapid surge, rising two places since last year with 23% YoY growth. Technology brands featured heavily in the top 10, and conglomerate GE was the only inclusion to lose value. 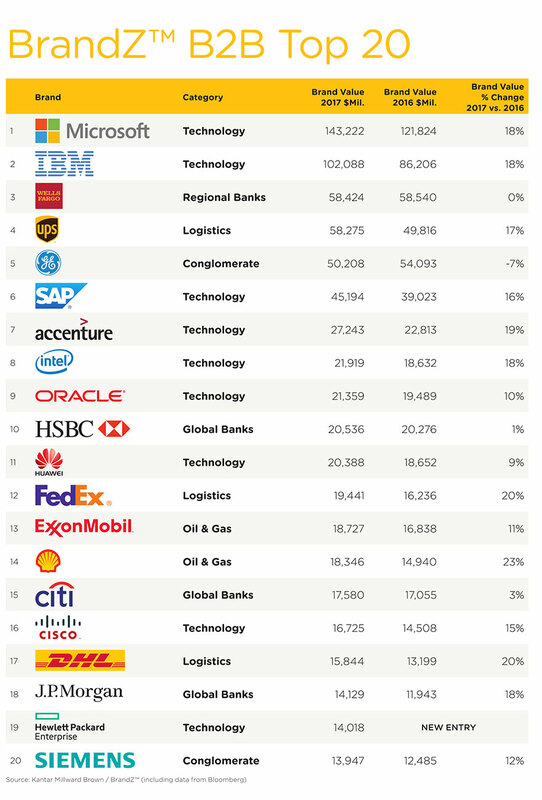 Making up the remainder of the top 20 most valuable global B2B brands were UPS, GE, SAP, Accenture, Intel, Oracle, HSBC, Huawei, FedEx, ExxonMobil, Shell, Citi, Cisco, DHL, J.P. Morgan, Hewlett Packard Enterprise, and Siemens. Ready to get instant, free access to a world of smart stuff for smart b2B marketers?